Chop almonds and toast in a pan without any fat until golden. Cook spaghetti in salty water until al dente. When draining, keep some pasta water aside. Chop garlic and fry briefly in olive oil. Add cherry tomatoes, almonds, sambal olek, sugar, and salt, and warm up briefly. Add arugula (roughly chopped), combine, and add some pasta water if necessary. 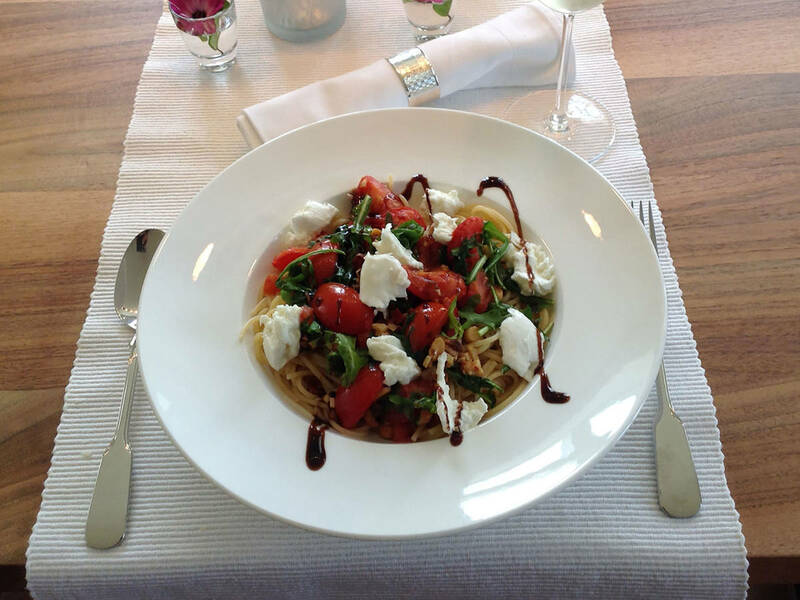 Combine spaghetti with tomato-arugula mixture, transfer to plates, and serve with torn mozzarella and balsamic cream.